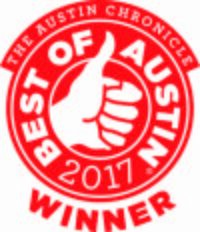 Winner of “Best Camp” in the Austin Chronicle’s 2017 “Best of Austin” poll, Creative Action offers fun, engaging, and exciting arts-based summer camps for ages 5 – 11. Led by experienced staff, our camps are offered at three convenient locations in North Central, East, and South Austin and include a variety of themes to choose from all summer long. Campers envision and create their own films, perform on stage, and explore visual art with our professional Teaching Artists in a safe, supportive learning environment. Please below for our entire 2019 Summer Camp schedule and additional information. With a variety of themes to choose from, our 1-week camps for 5 – 7-year-olds build creativity and confidence through artistic exploration. These camps are designed to be active, inspiring, and fun! Our 2-week academies for 8 – 11-year-olds are limited to 20 students per session to foster the development of this specific age group. Campers work closely with professional artists and go deep to master new art skills. LOOKING FOR OUR TEEN SUMMER CAMPS? WE OFFER OUR 2-WEEK STUDIO CAMP FOR AGES 11-14. Extended Care Drop-Off: 8 – 9 a.m.
Official Drop-Off: 8:45 – 9 a.m.
Official Camp Day: 9 a.m. – 4:30 p.m.
Extended Care Pick-Up: 4:30 – 5:30 p.m.
At Creative Action, our goal is to provide engaging, creative programs for youth from all socioeconomic levels, which is why we offer camps at affordable prices. One-week camps are just $295 and two-week camps are $590. Extended care is available 8-9 a.m. and 4:30-5:30 p.m. for an additional $60/week per child. Please note that we currently do not offer sibling discounts. We also offer a limited number of sliding-scale spots at our summer camps. The Summer Camp Financial Aid application deadline was March 15th and awards have already been offered. To apply for our Financial Aid waitlist, please complete the forms below. To apply for the waitlist, complete this form in English or this form in Spanish. OR download the application in English or Spanish and email to Enrollment@creativeaction.org. To learn more about our financial aid services, click here or email enrollment@creativeaction.org. View our Frequently Asked Questions in English and Spanish. Registration remains open until the first day of camp! We require a non-refundable, non-transferable deposit for each camp a participant enrolls in. This is a $50 non-refundable, non-transferable deposit for every 1-week camp and a $100 non-refundable, non-transferable deposit for every 2-week camp. Balances are due on June 1st. If you register for a camp after June 1st, the entire balance is due at the time of registration. Cancellations prior to June 1st will be refunded the full amount minus the deposits for each camp, however, there are no refunds offered for cancelled registrations after June 1st. If you have questions, please call 512.442.8773 ext. 107 and speak with our Enrollment team.